Highly effective people, and all those who aspire to be, are mourning the death of Personal growth expert and best-selling author Stephen Covey. Covey died on Monday at age 79 from injuries he suffered in a biking accident. He made a huge impact on the world through his book, The 7 Habits of Highly Successful People, which inspired millions in their personal growth. In honor of Covey’s passing, I’m taking some time this week to review the 7 Habits and apply them afresh in my life. In this post, I’ll share a brief overview of each of the 7 Habits, plus the 8th Habit, which was added some years later in a book called The 8th Habit. The first three habits of highly effective people have to do with mastering yourself. Habit 1: Be Proactive – Realize that everything in life is a choice and that you have the power to choose the life you want. Live on purpose, don’t let life happen to you. Make sure your decisions line up with the goals and values you espouse. Habit 2: Begin with the End in Mind – Take a look at each of your roles in life (what I like to call “life areas”) and identify your preferred future in each one. Envision the ideal characteristics you want to have in each of your roles and relationships. Create your own personal mission statement. Habit 3: Put First Things First – Organize and prioritize your life and your schedule based on what things are importance to you, not what urgently clamors for your attention. Evaluate your actions in light of your stated goals and values. Are you spending enough time focusing on the things that you say are most important to you? The next three habits have to do with working with others and creating interdependent relationships. Habit 4: Think Win-Win – Work for mutually beneficial agreements in your relationships with others. Think cooperation, not competition. Have an abundance mentality. Habit 5: Seek First to Understand, Then to be Understood – Be a good listener. Don’t just listen so that you can reply to what someone else is saying. Truly listen to understand what they’re saying so you can know what is important to them and what they value. Then you can respond with intelligence. Habit 6: Synergize – You can go farther with others (a team) than you can alone. Harness the best energies from others and achieve goals together that you never could have done alone. Who can help you (formally or informally) to achieve your goals? The seventh Habit has to do with self-renewal. Habit 7: Sharpen the Saw – Make time to preserve and enhance the greatest asset you have: you. Identify practices that help you maintain balance and renew you physically, emotionally, and spiritually. Habit 8: Don’t just survive, thrive. Don’t settle for doing your best – be your best. Make your work align with your gifts, talents, personality, etc. 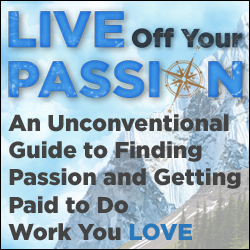 to find more fulfillment in your life and help you move from success to significance. In future posts, I’ll share my personal insights on each of these habits in greater detail. Have you read The 7 Habits of Highly Effective People or other books by Stephen Covey? Have they impacted your life? If so, how? I leave a comment when I especially enjoy a post on a website or I have something to contribute to the discussion. Usually it’s a result of the passion communicated in the post I read. 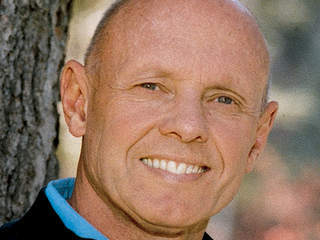 And after this article Tribute to Stephen Covey: The 7 Habits of Highly Effective People. I was excited enough to drop a comment 😉 I actually do have some questions for you if you do not mind. Could it be only me or do some of these responses come across like they are coming from brain dead people? 😛 And, if you are writing on additional social sites, I would like to keep up with you. Would you list every one of all your communal pages like your linkedin profile, Facebook page or twitter feed?